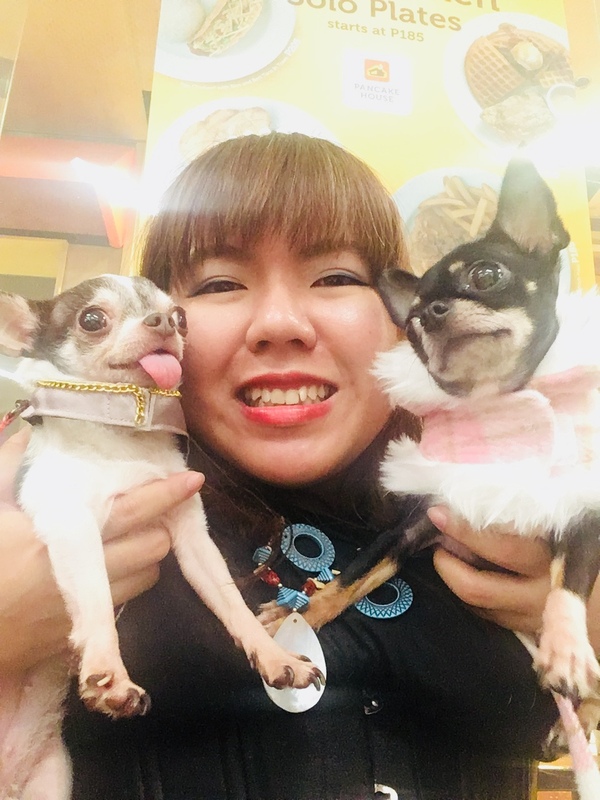 Baby Moon Model and Correspondent Mich Gamotia shares her experience being a dog mom. Mich has modeled for Baby Moon Lifestyle and Baby Moon Pawprints on numerous occassions. 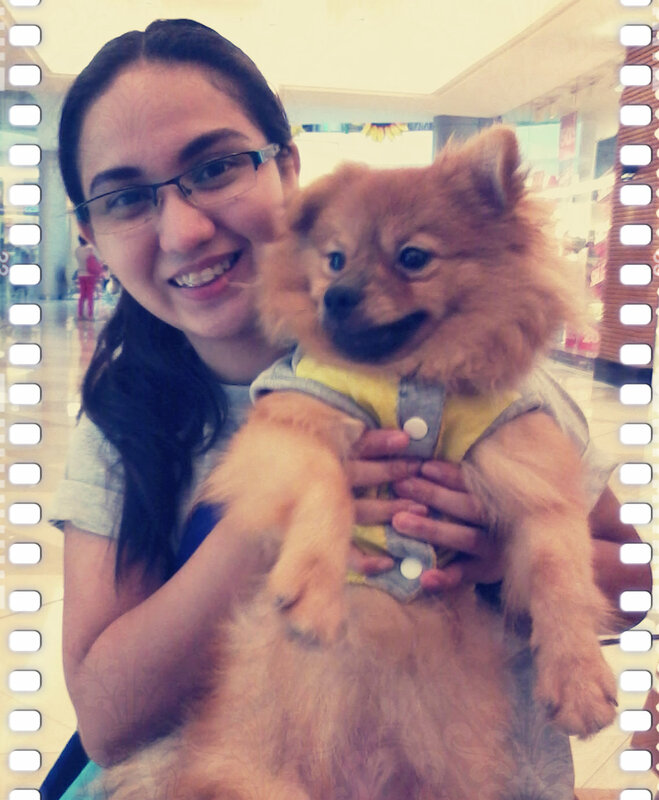 Her new fur baby Dagul has debuted last June 2013 at Bonifacio High Streets. This is her experience in caring for a new puppy. I am Mitch Gamotia. I have a new puppy named Dagul, he is crossed-breed of Pomeranian and Japanese Spitz. My baby was born Dec. 16, 2012. He is male. How did I get Dagul? I really wanted a dog of my own. I’ve been modeling and wish to have my own fur baby model the catwalk with me. One day, my band mate James –he plays the bass guitar—told me he was selling his dog but it was a half breed. I didn’t worry about the breed. What I worried about was: “Paanu ko xa aalgaan at pplakihin? Bsta, I’m puro worries. But I really fell hard when I saw him. I carried him and he was so fluffy. He’s so cute. I didn’t think about half-breeds. To me, Tisoy. Cute. I let him run around with his fellow littermates. If he comes back to me, it’s a sign. After a minute, Dagul ran to me and wove around my legs. So, Dagul is my new Baby. Nung nakuha ko na si Dagul wala pa siyang cage namatutuluyan. They I thought if I should buy a cage. In the mean time, I found him a basket. He reminded me of Reuben, the Sandwhich guy from Lio and Stitch. I tried to call him Reuben but he won’t answer. We are stuck with the name Dagul. I did buy a cage later. I think he likes it but not as a cage. More like a shaded bed. Like all dogs, Dagul loves a belly scratch. That’s his favorite lambing. He often comes to me and begs for a good tummy rubbing. He knows how to listen. He comes when I call. They only thing he expects is love from me. He’s very hyperactive. He’s strong when it comes to tug of war. I don’t know where he gets enough energy for fetch. But even in his most active moments, he shows his love and lambing. There are moments na tahimik. It means he wants to go to sleep. He’s so cute. He loves hugs and lambing time. I realize I’m now a mom. That would include poopoo duties. When he goes out to poop, you better be ready to clean it. I had to train him where to poop and weewee. He now knows to go to the comfort room to do it. If he’s in the cage, he knows to knock and that means he wants to go do his business. Nawawala stress ko every time I’m with my baby dog. He knows me and my bf. His tail always wags. I know if I’m not yet home by 9pm kusa ng papasok si Dagul sa cage niya. He knows if I arrive. He’ll start barking a welcome and wait in front of the door. Like any mom, my baby gets treats during payday. He’s part of priorities especially when it comes to the monthly budget. Tahimik moments are sleepy moments and sleepy moments means peace. Every time somebody comes to the house, he loves to bark. Not that he’s makulit. My baby is just papansin to visitors and new people. Dagul is part of my life. He deserves a happy life and I will give it to him. He’s my wonderful baby.